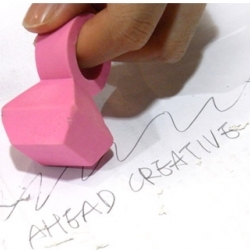 The Eraser+ing Eraser is a wearable ring that doubles as an eraser. Available in 5 colors, it's a super chic way to undo. 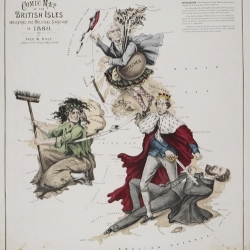 A new exhibition at the British Library reveals the history of cartography. Drawn from over more 4 million historically significant maps, most of them have never been seen by the public. 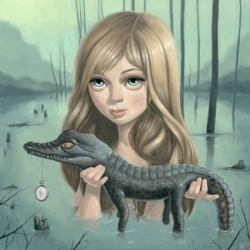 I've put together a web preview of my upcoming show at Mondo Bizzarro Gallery in Rome for those who won't be able to make it in person. 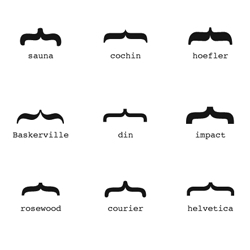 Typographic moustaches by Publicité Actuelle just in time for Moustache May. 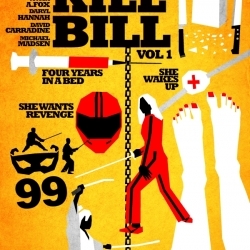 Designer Hexagonall remakes Quentin Tarantino film posters. 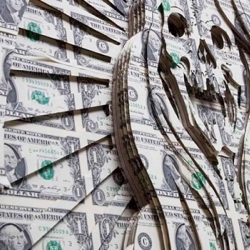 In what will be his first NYC solo show, Scott Campbell will showcase his unique aesthetic via sculptures, paintings and drawings. 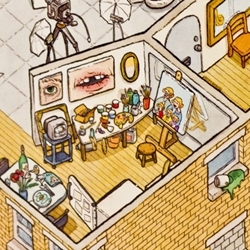 If You Don’t Belong, Don’t Be Long, opens Thursday, April 29, 2010 6 – 8pm. Great house with a swimming pool on the roof. 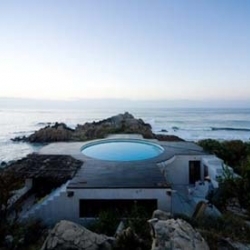 The Universe house is located in Roca Blanca, Mexico. 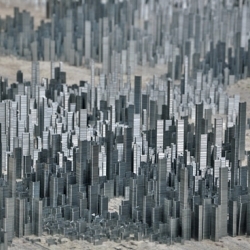 Designed by Mexican artist Gabriel Orozco, and built by architect Tatiana Bilba. cylinder and topped with a stamped cork. 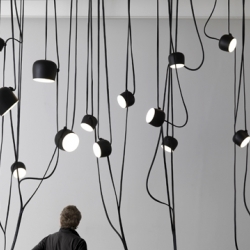 Flos Soft Architecture is an ambitious system of light fixtures that blend into architecture. Pure beauty. 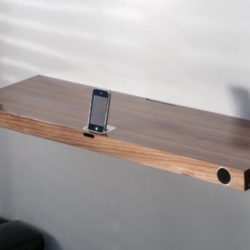 Finite Elemente's new Hohrizontal 51 sound board is an impressive iPod dock in the shape of a wall shelf. 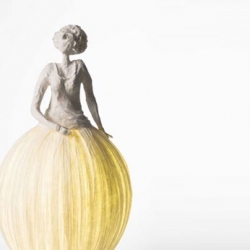 Sophie Mouton-Perren, a talented French artist, enjoys working with papier mache, her creations are graceful, beautiful and poetic. 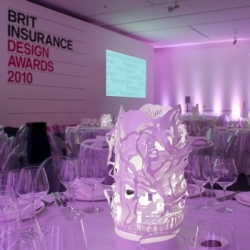 Sophie has worked with Frederic Guibrunet ,to create customized product line for lighting (LUMIGrane). 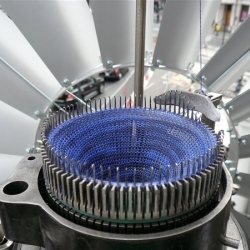 Wind Knitting Factory by Merel Karhof -- A wind powered knitting machine creating scarves to visualize the amount of urban wind. 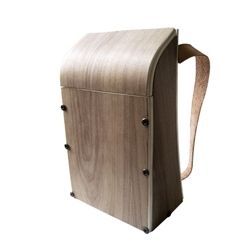 The Horse in Motion - A flatpack walnut backpack that plays with the design of knock down/ flat pack furniture. 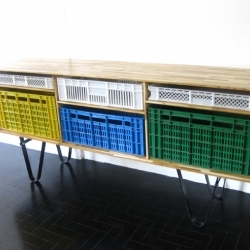 Features cabinetry hardware, allowing flat-pack ability and easy portability. Ready to assemble. 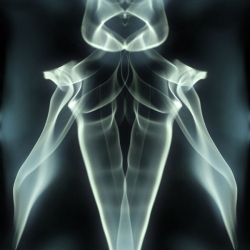 Ray Cicin explores the imagery of nature and the elements. 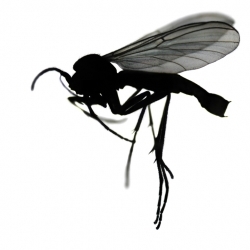 In this Micro Macro series he has turned to an old Nikon Coolpix 995 camera mounted on a trinocular microscope to expose beauty in the miniscule. 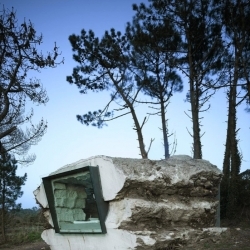 La Trufa is a dreamlike house, a stone carved from the ground, by Ensamble Studio. 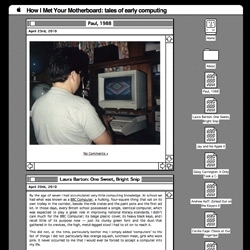 A preview with pictures by Roland Halbe. Mus, the most symbolic contribution of the proposal pursues awaking new consciences on animal life preservation. 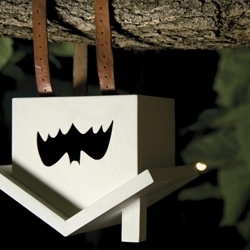 Mus as an ornament object, recreates an upside down jail and represents the bats´ lost homes. FouFou is a champagne bar situated at the very edge of Stuttgart’s red light district. The German architects Ippolito Fleitz Group designed the bar as a mixture of Swabian wine tavern poesy and Paris Bohemian world. 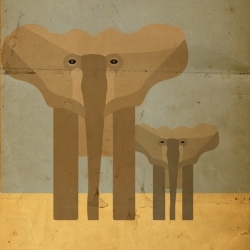 Are you a detail maniac? 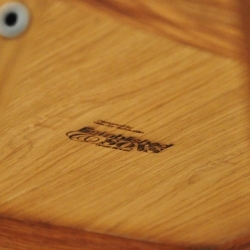 If so you will love these series of pics of brands and designers names imprinted in products. Jose Collection is a family of storage furniture pieces produced out of materials and processes that achieve a more responsible environmental impact. 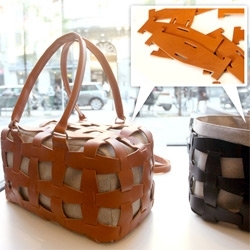 FEATUREDPinneti's modular leather bags... are genius! So fun to have a series of products all made from the same modular unit of leather that you can evolve and build on! Finisterre's very own surfing sheep, Mildred. This video of Mildred surfing is the latest collaboration between Finisterre and DLKW with directional and digital genius from Dom and Nic who've won wide acclaim for their work with the Chemical Brothers! 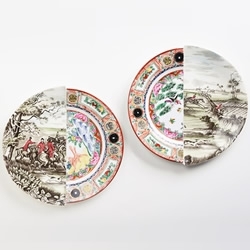 FEATUREDOnly Maison Martin Margiela would fill a room at 10 Corso Como with open safes behind paintings to show off jewelry, glasses over creepy dolls eyes... and cover the walls with paint by numbers wallpaper. 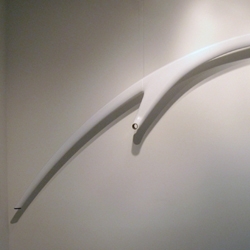 Once again the Gallery Kreo welcomes designers Ronan and Erwan Bouroullec. 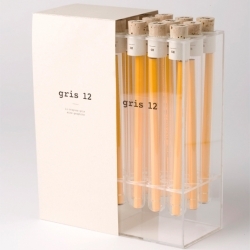 Contemporary minimal Japanese design at it’s best. 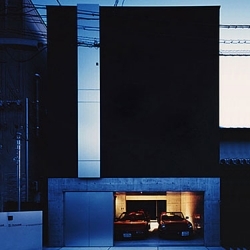 The S House design by Katsuyuki Fujimoto Architect & Associates Office. 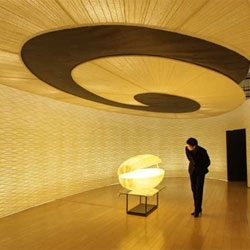 archiTokyo is an in-depth, five day Japan design immersion experience for serious architecture and design enthusiasts & professionals seeking inside knowledge and access to the best of the field. 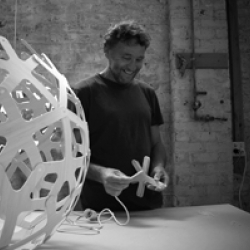 VIDEOAfter its launch at Superstudio, you can now see the assembly of the Iconic Coral light in this film by Davide Calafa for David Trubridge. 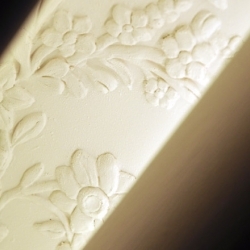 It shows the how to assemble the flat-packed Coral or Floral lampshade. 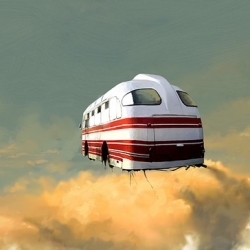 Alternate Reality, surreal paintings by Alex Andreyev, artist form Saint Petersburg, Russia. 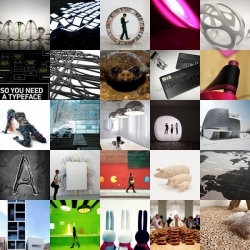 Unusual, creative and inspiring. FEATUREDA selection of this week’s posts featuring stunning architecture, gorgeous highlights from Milan and many other of your incredible finds! 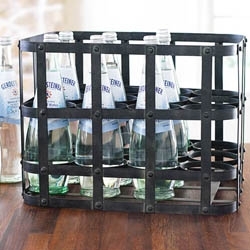 With Wisteria's Metal Twelve-Bottle Carrier you can carry twelve bottles of whatever - wherever. 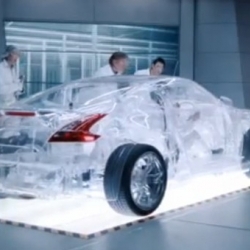 Shell just released a video showing the making of a translucent Nissan 370Z they hand built to promote their new line of engine oil. The footage examines how they managed to show the oil actually working inside the car using a painstakingly built clear engine. 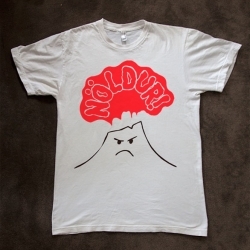 Celebrate recent volcanic eruptions with this Noldur ("grumble" in Icelandic) T-shirt. More attractive than an "I survived Eyjafjallajökull" T and far less specific. 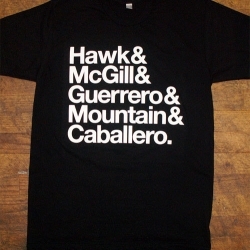 Hand printed on american apparel, limited to 100. 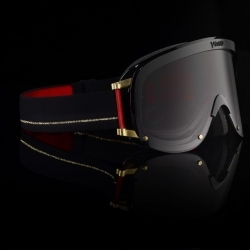 Yniq is a new Swedish eyewear company founded by freeride skier Jon Olsson. 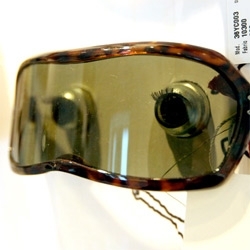 Their line of ski glasses are designed by Norra Norr. 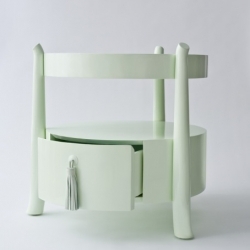 Isabella Wolfe - a psuedonym based on a first name she really liked and a last name taken from Elsie de Wolfe, from whom her inspiration is drawn - but what does it matter, this is just a great table flawlessly blending pretty and cool. 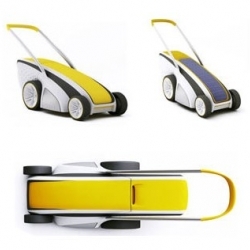 This solar lawn mower would be quiet, lightweight and cheap. Solar panels sitting on the mower top and save the energy in the system of removable polymer-ion battery. 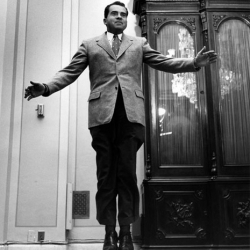 Philippe Halsman's JUMP pictures from the '50s are so much fun. He even got Nixon to leap for joy! 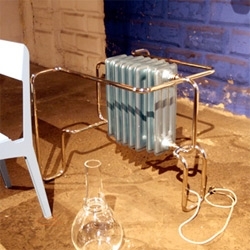 FEATURED“I am furniture” Radiators by Studio Vraay ~ stunning radiators that are really pieces of furniture/works of art for the home ~ and functional too! 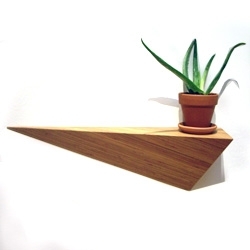 ALS Designs' Angle Shelf made from sustainable bamboo and finished in natural tung oil. 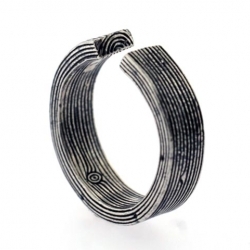 Digby & Iona release the new 2 x 4 Ring from their Spring 2010 collection called The Wood. Everybody can be an artist with Malibu by U : limited packaging concept in Canada. Here local artists, Damzels in this Dress, David Glantz and Nick Fox, create their bottle.